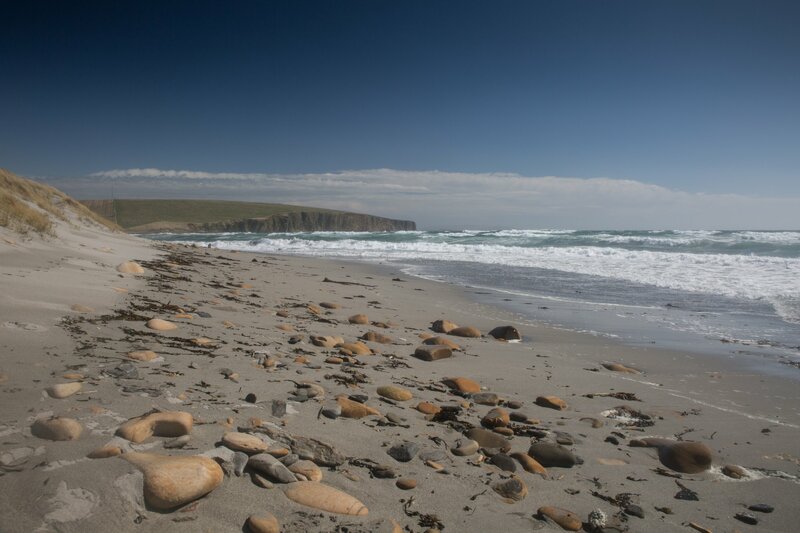 This east mainland beach is the perfect place for a seaside stroll, with stunning views towards Copinsay and Orkney's east coast. 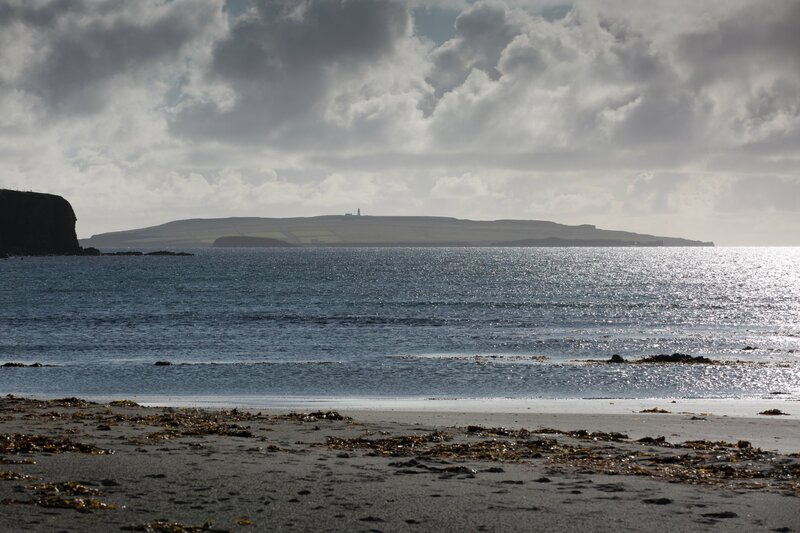 Dingieshowe is part of a thin isthmus linking the parishes of St Andrews and Deerness. 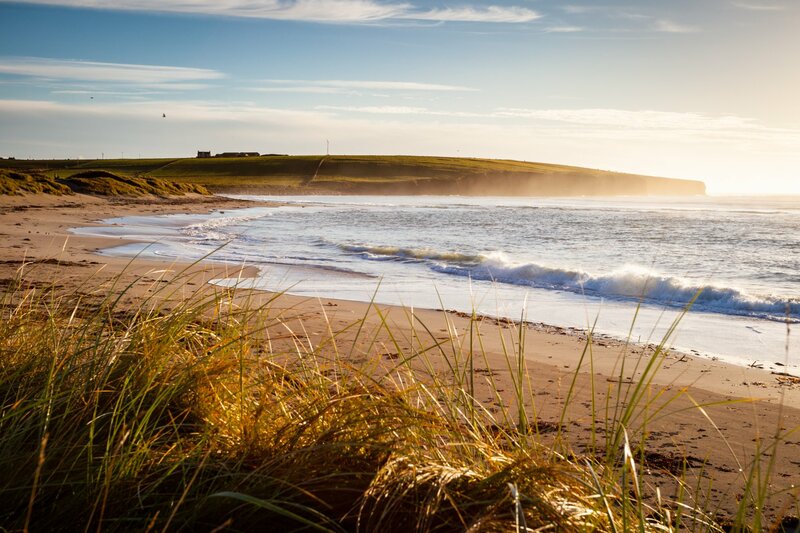 The beach itself is almost a double crescent of golden sand backed by dunes and is one of the most popular beaches in the area, particularly for walkers and families. There is a small car park and public toilet block, with a series of wooden steps leading over the dunes to the beach itself. The scenery is beautiful but there is also history in the area too, with an old defensive broch found on the west side of the isthmus. 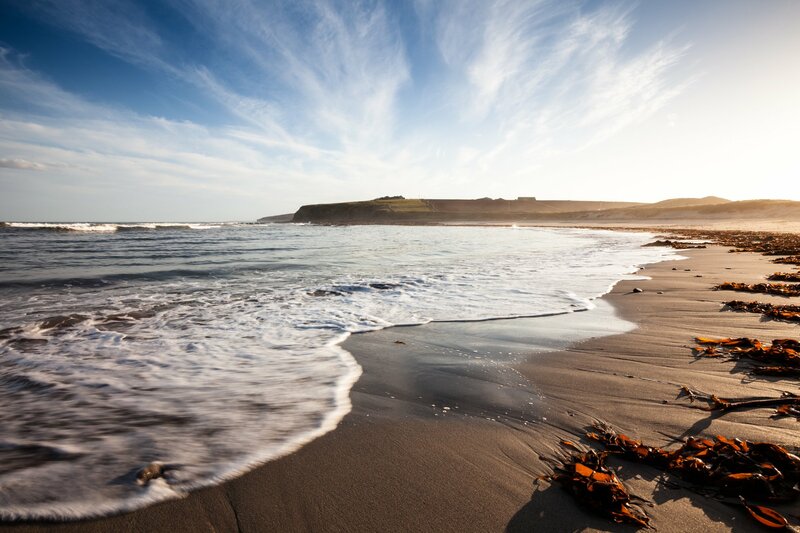 Head to Dingieshowe after a southerly gale and you'll see spectacular seas crashing into shore. Calmer weather brings plenty of beachcombing finds, shells and seals to spot, bobbing out in the bay. There are also some excellent walks on both the east and west side of the beach.